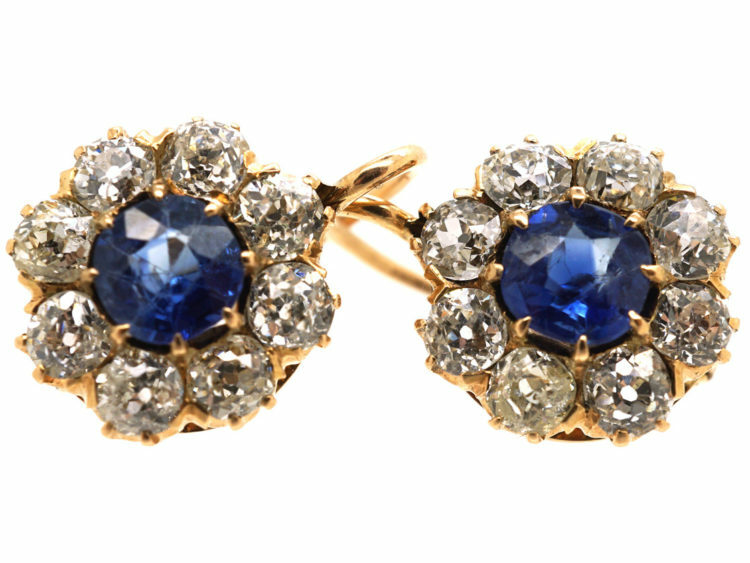 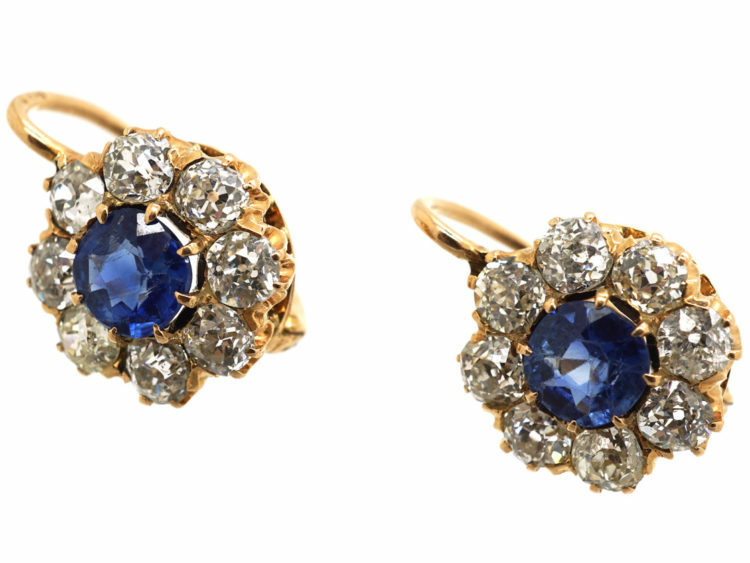 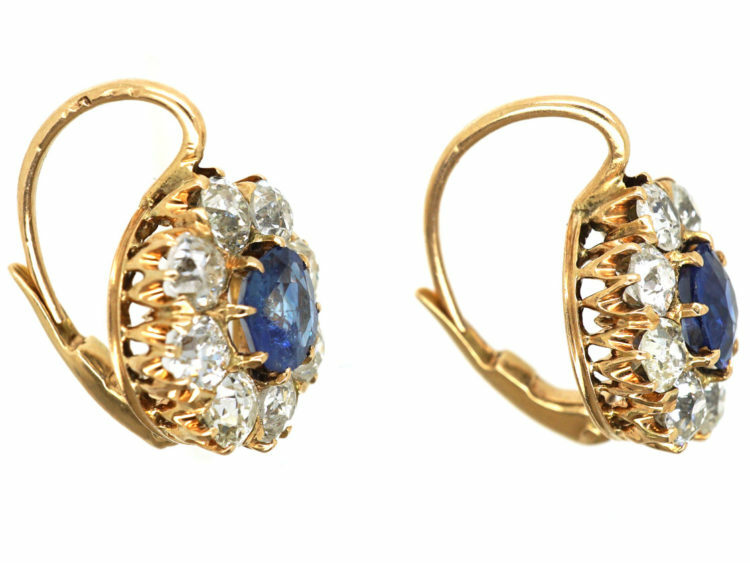 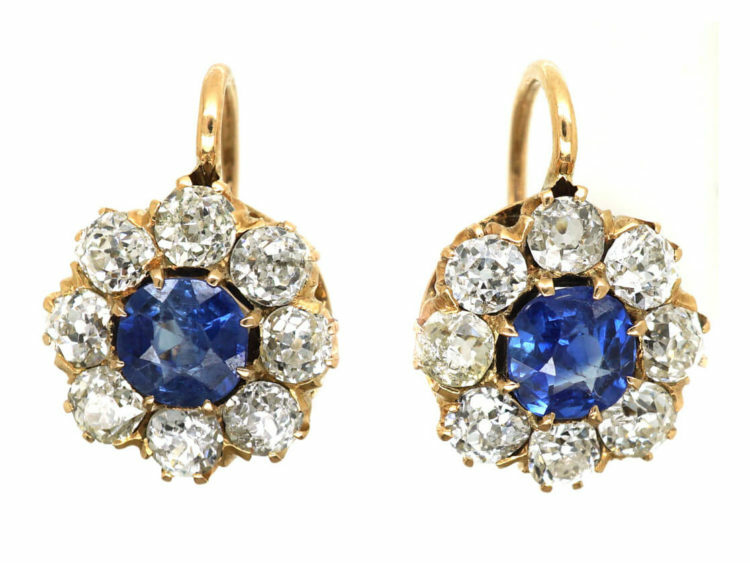 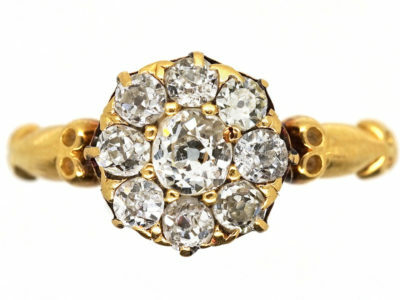 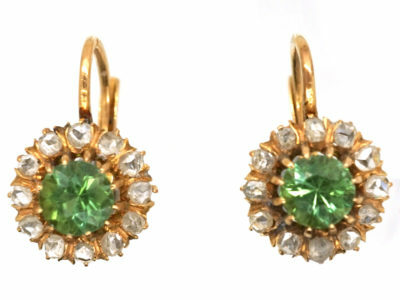 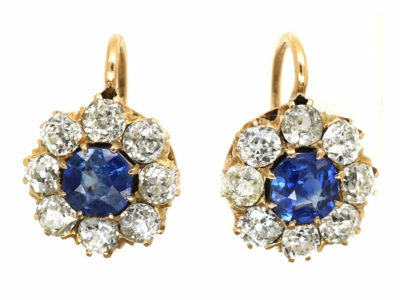 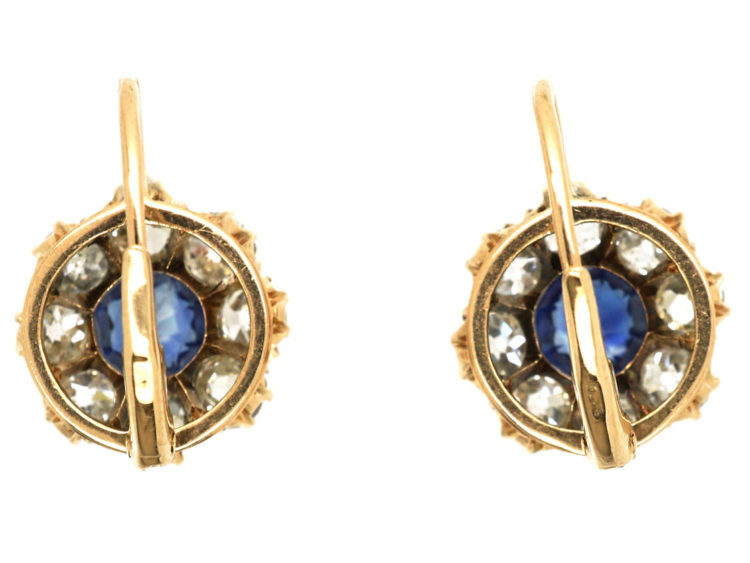 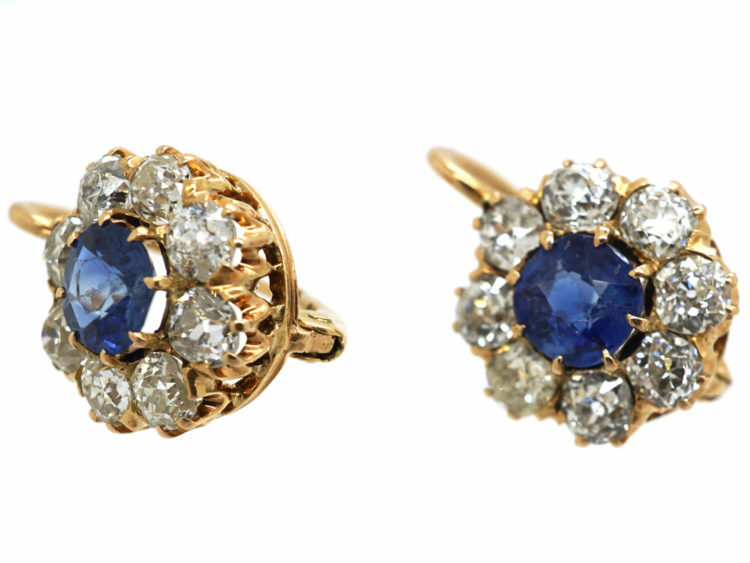 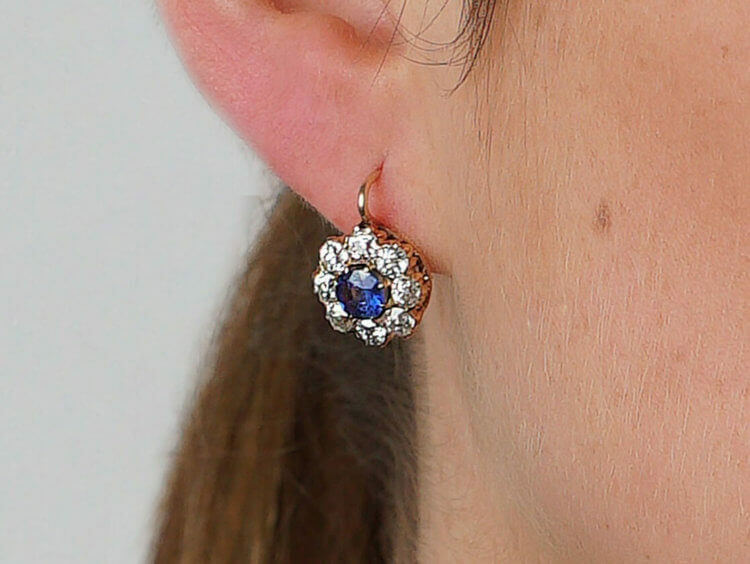 A really beautiful and original pair of cluster earrings that were made circa 1910. 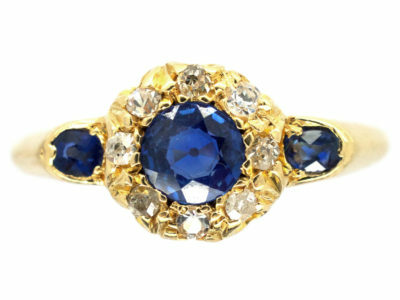 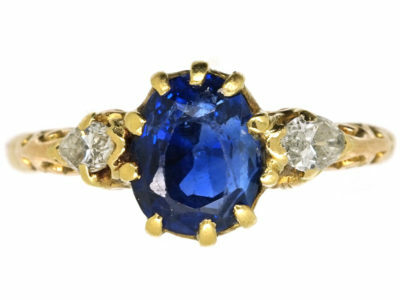 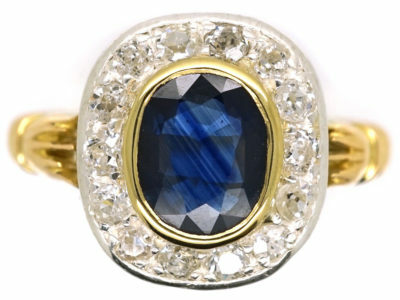 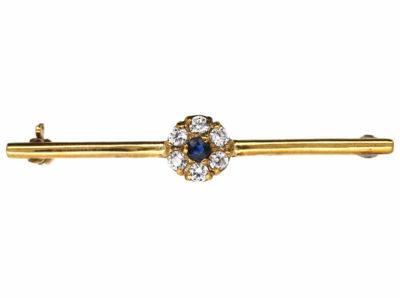 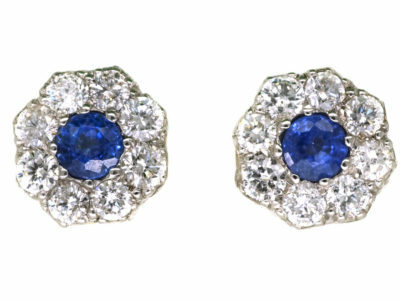 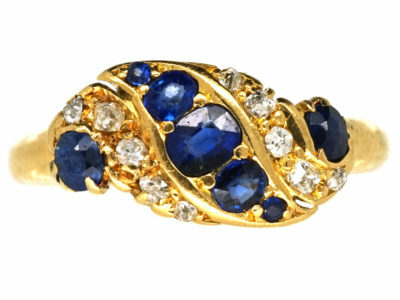 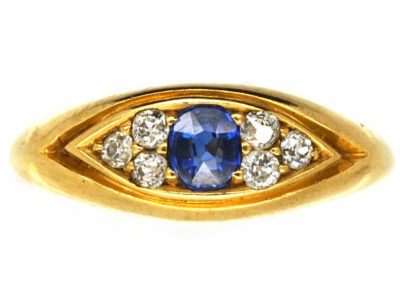 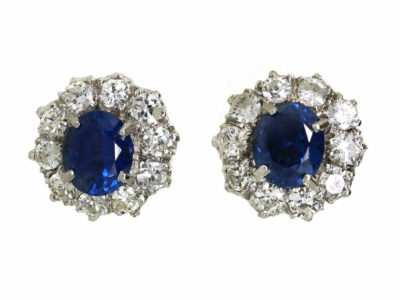 They have been set with two well matched natural Ceylon sapphires and they are surrounded by bright white old mine cut diamonds. 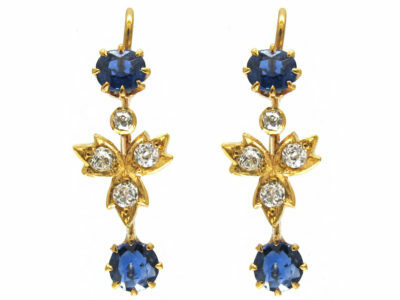 They have secure and comfortable hinge back fittings. 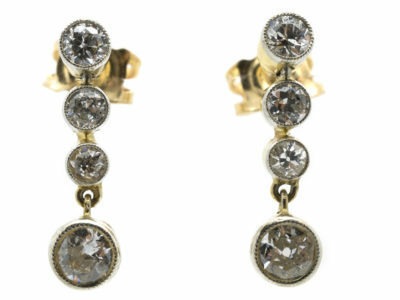 These earrings are really stunning!